Come to TLC Flooring Inc. for sales of carpet, tile, laminate flooring, wood, vinyl, and custom flooring. With more than 35 years of experience and 6 years in business, we provide the best prices and service in town on all types of quality flooring. We have everything from carpet and laminate to tile, travertine, marble, and granite for all your residential and commercial needs. Our customers get the best possible deals, which is why we call ourselves the Special Deal Center of Las Vegas. Contact us for more information. Come and see our warehouse and all we have to offer; you only pay warehouse prices not showroom prices for premium flooring at TLC Flooring. With so many people out there it was hard to chose. What I can say Ramin was patient with me and my wifes needs and found the most amazing flooring at a fair price. I went to lumber liquidators and lowes as well and still felt like ramin had more selection and he just knew his stuff. 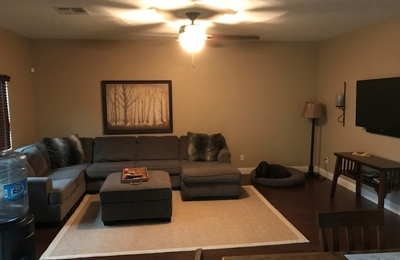 when we finally made the choice it was best decision ever made and completely changed our family room from great to amazing. cant tell you enough thank you. when it comes to flooring don't waste time any where else. He has more selection than anyone in the city.